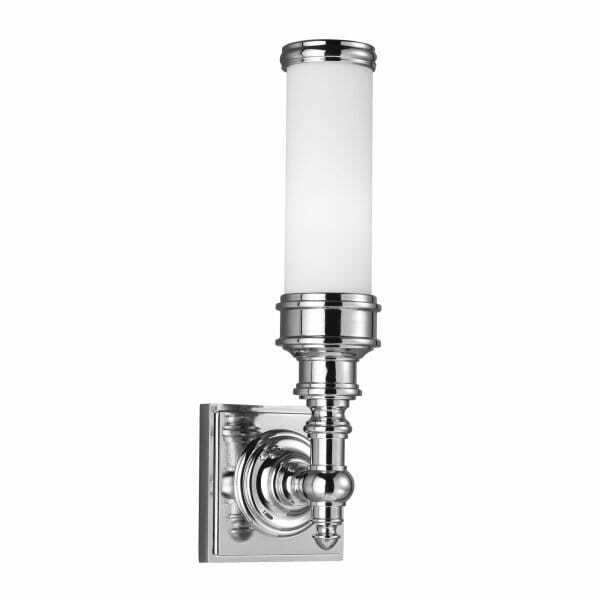 Bathroom wall light 'Payne' a traditional influenced over mirror light is safe for use in bathrooms. rated at IP44 this light is perfectly safe in zones 1,2 and 3 allowing it to be fitted safely in most areas' of the bathroom, we think it looks great either side of a bathroom mirror. We love the pure white opal glass teamed with cast ornate detailed polished chrome metalwork. Perfect for heritage style bathrooms, Art Deco, Edwardian, Georgian or Victorian.